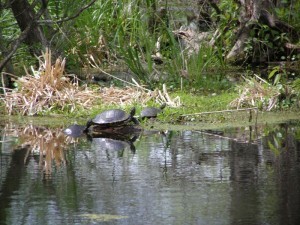 Lake Martin/Cypress Island Preserve is a backwater flood plain, cut off from the main Atchafalaya river basin. In the 1950’s the Lafayette Sportsman Club with local land owners, set in motion to build a 5 mile levee around Lake Martin swamp to maintain a constant water depth for hunting and fishing, in turn, the seasonal water fluctuation that occurred in the backwater swamp was controlled due to the levee. As an added bonus, created a very attractive area for alligators and wading birds to utilize the area for feeding, roosting, and rookery purposes. 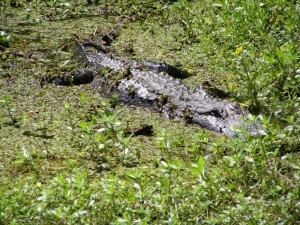 The swamp also has some of the largest alligators, at over 10 feet long! You can enjoy local wildlife from an occasional sightings of a whitetail deer, wild hogs, raccoons, to opossums. 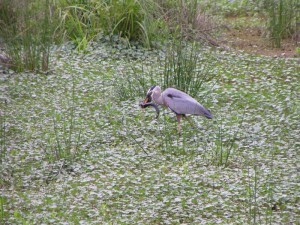 There is also a large variety of birds, including the state bird brown pelicans, egrets, large and small herons, and even a pair of bald eagles. (207 different species of birds during nesting season). 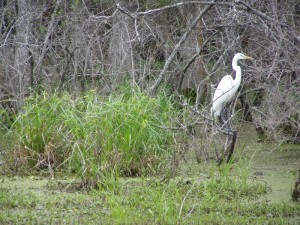 It is very easy to feel part of nature while drifting along in the swamps of Lake Martin. You can experience some of the most breathe taking sights at sunset here. All of this in Breaux Bridge, LA, and just minutes from Lafayette and Baton Rouge, LA!